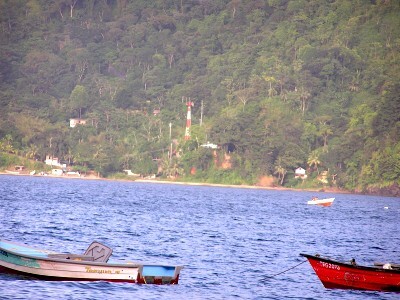 There is a fishing village situated at one end of Maracas bay. 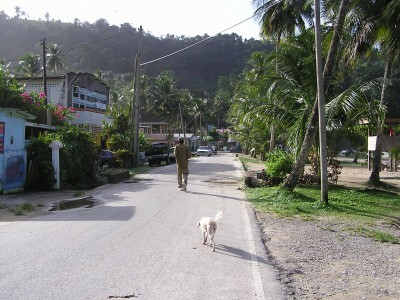 While walking along the main road of this village, a number of shops can be observed selling grocery items and alcoholic beverages. The village also has a post office. Towards the end of the road there is a fishing center. Children from the village can be seen swimming and playing on the beach. Ducks and yard fowls that survive on a healthy supply of fish can also be observed relaxing in the shade of coconut trees. 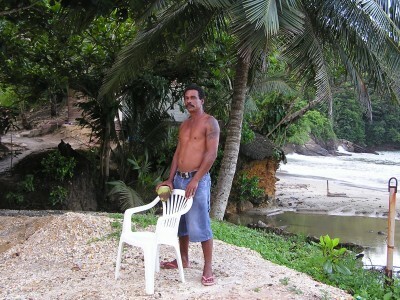 A proud villager Mr. Joseph Bailey explained that he represents the third generation of a maracas village family. 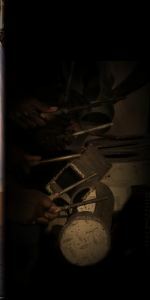 Most of the residents of the village, he explained, have strong family links in Maraval, Santa Cruz, or Arima, since people from these areas migrated over the hills to Maracas bay because of the fishing benefits that living on this bay provided. The shape of the bay with surrounding high hills provide natural protection against strong winds so villagers are confident that they would not lose fishing boats and equipment during storms. Villagers claim that the government tourism authority has been making suggestions to have them relocated to Damien's bay to make room for tourism expansion projects. 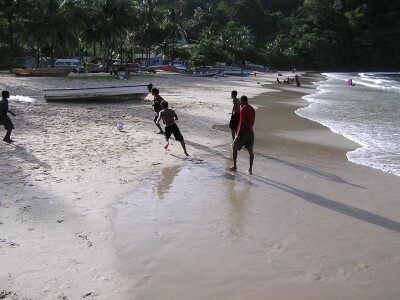 However these Villagers do not wish to move because Damien's bay is not as sheltered as Maracas, and they have a long history living on this beach. Early settlers had to demonstrate tremendous courage and determination to establish this village, because the main outlet for Maracas fish at that time was the San Juan market. Villagers had to carry fish in baskets on their heads over the hills from Maracas to Santa Cruz, and sometimes they got a donkey cart ride on to San Juan. Hiking over the hills to Maracas at present is mainly done by groups of people looking for fun and adventure and often with the help of well-trained soldiers. However early settlers of Maracas bay had to make regular trips over these hills to conduct commerce. Residents of Maracas bay are proud of the strength and bravery of their recent ancestors, and do not wish to be relocated.